Our TYA Series Oil Purifier is a state-of-the-art & on-line industrial oil-purification system that removes free, emulsified and dissolved water and light hydrocarbons from industrial lubricants and hydraulic oils. The unique air/gas stripping technology employed by our Oil Purifier makes it practical and efficient, this oil purifier system outperform centrifuges. 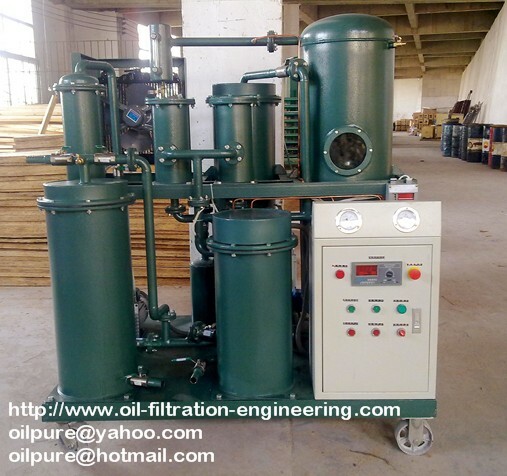 TYA Series Oil Purifier adopts Duplex 3D stereo-evaporation technology whose the evaporation area is three times more than that of normal evaporation technology. This innovation can dehydrate and degas effectively and efficiently. We bring in <?xml:namespace prefix = st1 ns = "urn:schemas-microsoft-com:office:smarttags" />UK G technology from Japan which removes not only free water, but also emulsified and dissolved water, keeping compressor, turbine lube oil and hydraulic systems water free. It will take oil that contains 1800 ppm of water down to a total water content of less than 80 ppm within six passes of the oil through the unit. TYA Series Oil purifier System removes dissolved light hydrocarbon gases, such as propane and H2S from industrial lubricants. In refineries and petrochemical plants, an ideal application is the removal of hydrogen sulfide from compressor seal oil. 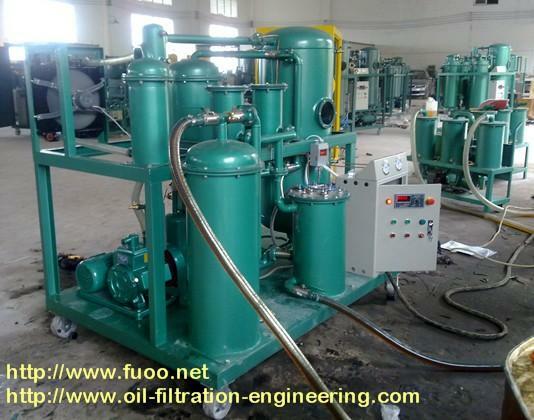 The TYA Series Vacuum Oil Purifier System returns the viscosity of the lube oil and restores the oil flash point to like-new levels, eliminating the need to dispose of gas-laden and sour lube oils.